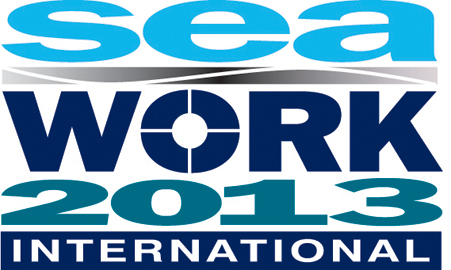 We are delighted to once again be attending the Seawork International show in Southampton. 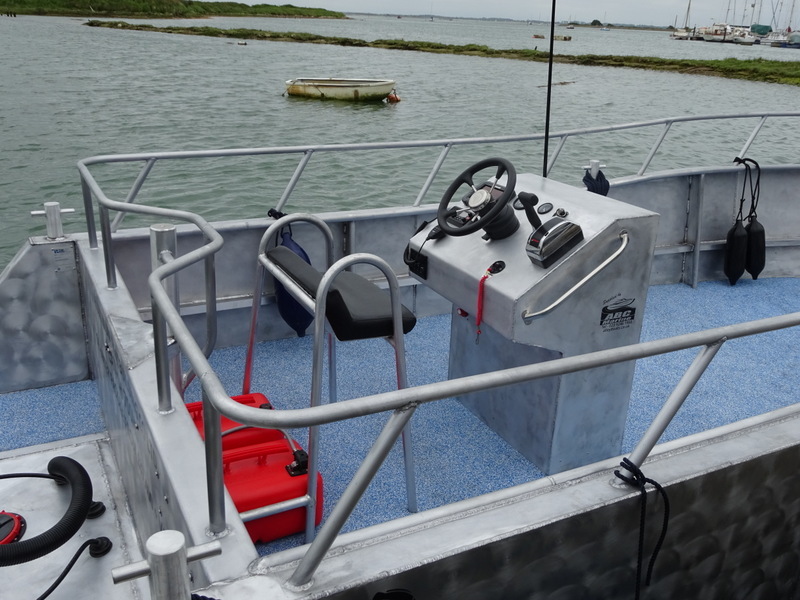 It is an ideal opportunity to showcase some of the great boats we have been building over the last year. As well as our very own exhibition trail on the quayside at stand Q19, we will also have a boat in the water. 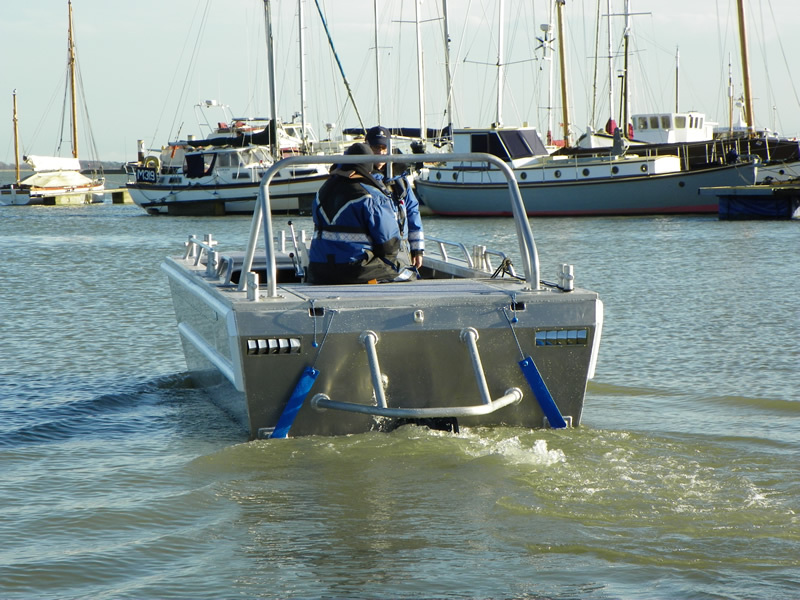 The Catfish 700 HD will be on berth V11 and is a 7 metre outboard powered multi use work boat. Due to be shipped to the Channel Islands after the show, you can get an exclusive preview at the show. We will be there from Tuesday 16th to Thursday 18th of June. 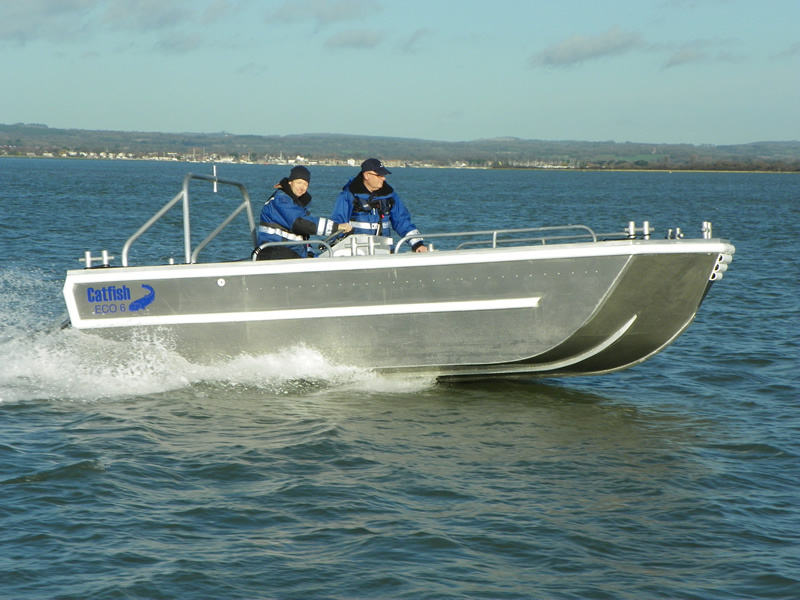 The first is a 7.0 metre Outboard driven aluminium work boat, combining safety, stability and comfort with ease and efficiency of operation. 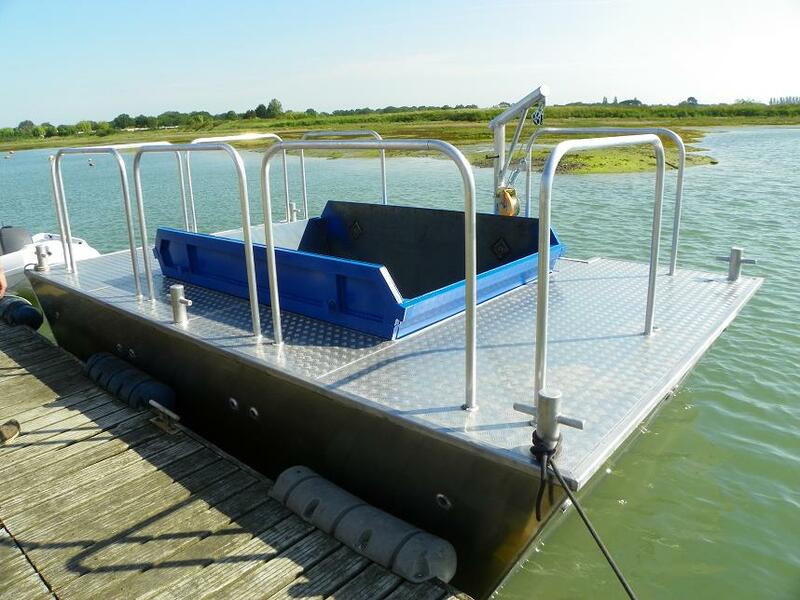 The second is a 5.0 metre aluminium Cargo Utility Pontoon, providing a safe, stable working platform with a hopper hold which is designed to transport a verity of cargos including a single BS 6 or 8 yard steel skip. 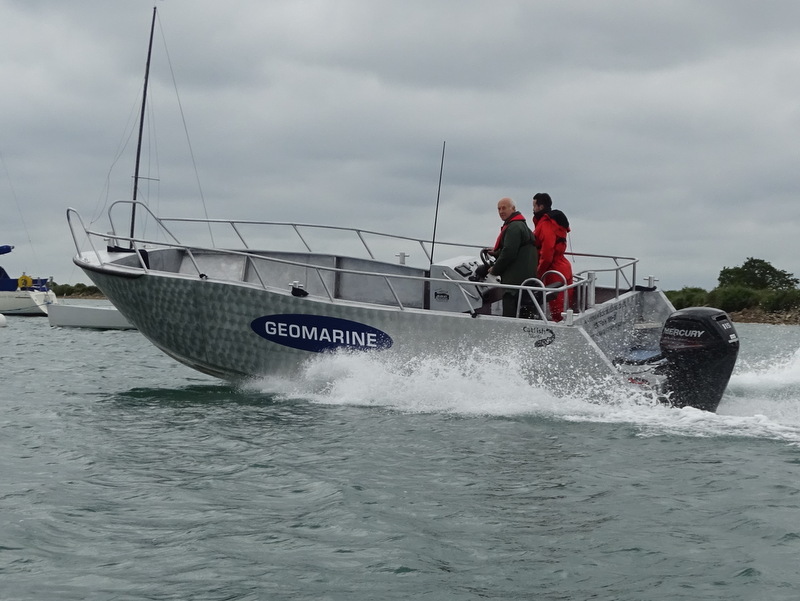 Both boats are to be based in Jersey and used on upcoming projects. 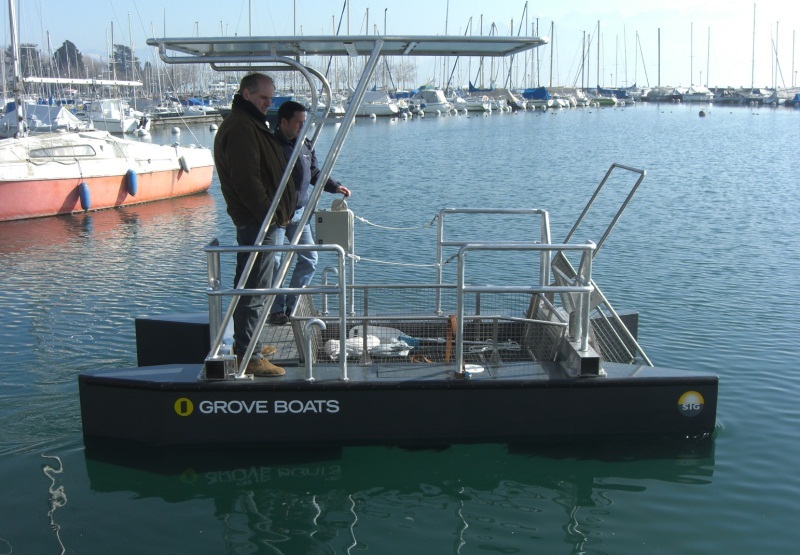 Built as a Marina Support Vessel for MDL Marinas, this 6 metre craft comes with a jet drive for shallow draft working and low maintainance. including looking at the revolutionary design. 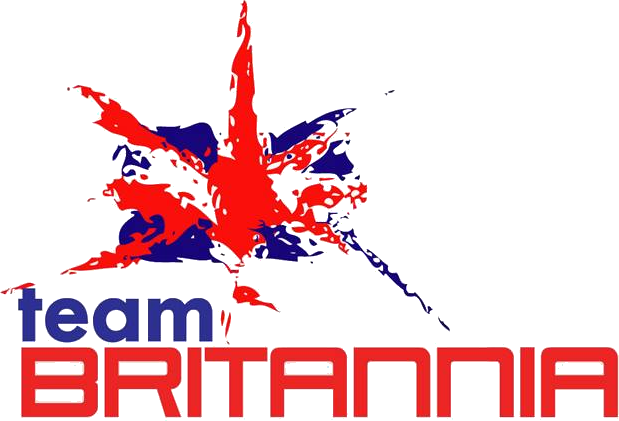 Ocean racing legend Alan Priddy will formally sign the contract with south coast firm ABC Marine to build the new super boat that he will use to break the round the world powerboat record – Thursday 15th January at the London Boat Show. 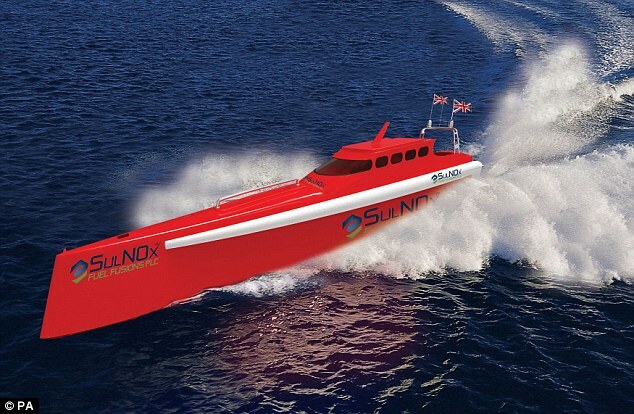 The boat, designed by Professor Bob Cripps, former Technical Director of VT Halmatic, will utilise revolutionary wave slicing technology, making the vessel "super-efficient" cutting fuel consumption by up to 30 per cent. 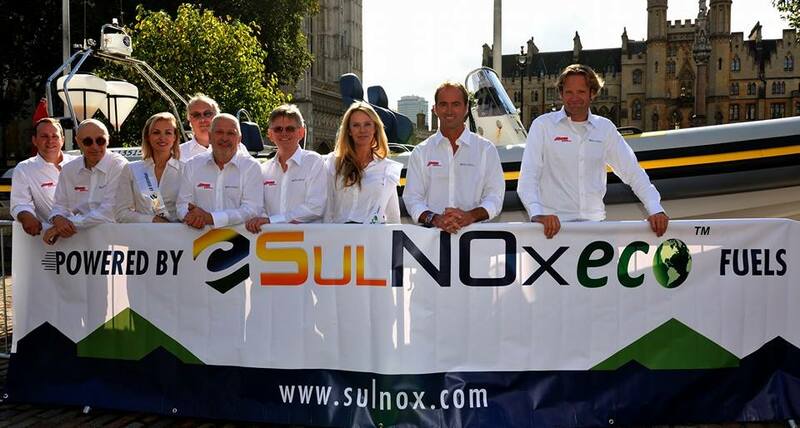 A revolutionary fuel emulsion, a mixture of diesel, water and emulsifier from West Sussex firm SulNOx, will power it. The emulsified fuel cuts harmful emissions such as particulate matter and Nitrogen Dioxide. 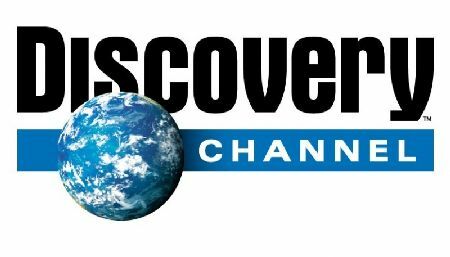 Mr Priddy will be joined by crewmembers, representatives from ABC Marine and SulNOx Fuel Fusions. 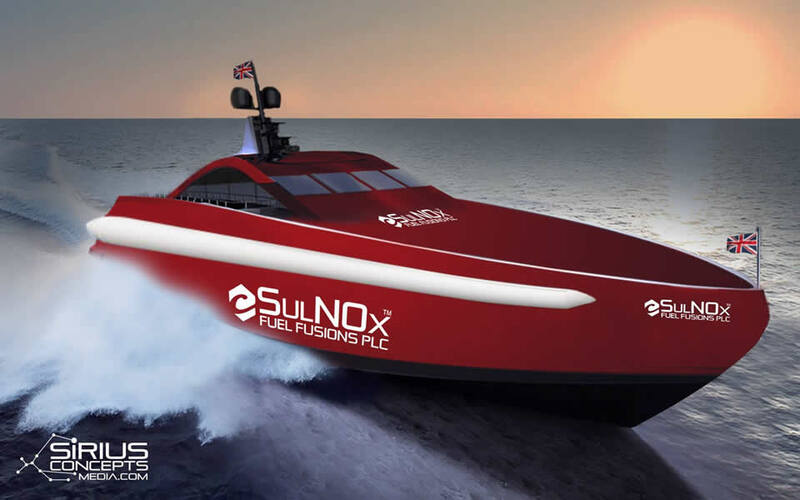 British ocean powerboat racing legend, Alan Priddy, will this week launch a £2.9 million round the world record bid in a new torpedo Eco-boat powered by a revolutionary fuel emulsion that slashes harmful emissions. 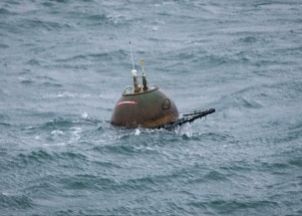 The boat will pierce the waves like a torpedo, rather than surfing them, with its super-efficient design, a variant of the "fast displacement hull". This reduces fuel consumption by up to 30 per cent, and should also make the 24,000 mile trip smoother than a voyage in a conventional hulled boat. The 80ft vessel, built out of marine grade aluminium, will be launched in late spring to allow it to complete its sea trials, before setting off on the historic voyage in November 2015, when the weather conditions will be just right. It has not been named yet, but Mr Priddy says they are in talks with potential sponsors about this and hope to make an announcement in the New Year. Marine and coastal communities in the South West of England and Wales will benefit from improved flood forecasting, with the introduction of two new wave monitoring buoys, located off the Isles of Scilly and West Pembrokeshire. Following a review of last winter’s floods the need for two new wave observation buoys was identified by flood forecasters from the Environment Agency (EA) and Natural Resources Wales (NRW). This increases the strategic wave monitoring network specifically deployed for flood forecasting from 13 to 15 monitoring buoys. The UK’s Cowes Harbour Commission (CHC) says that construction of its new breakwater is progressing as scheduled with Boskalis Westminster having completed installation of the gravel pre-load. In total, Boskalis has deposited 51,000m3 to bring the crest of the gravel core up to between 3.7 and 4.4m above chart datum. Five settlement beacons have also been installed on top of the breakwater which will be monitored until Spring 2015. Final reshaping and the placement of rock armour will take place later in 2015. 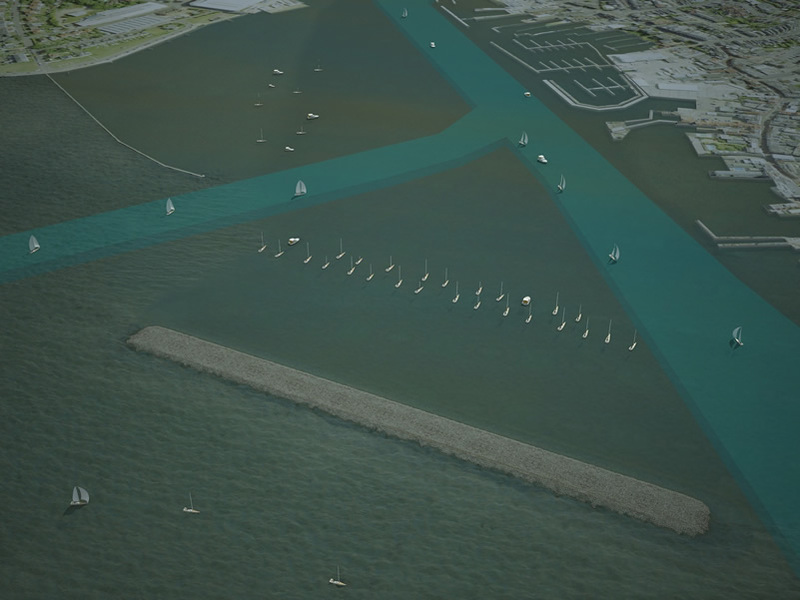 The result will be a 350m long, detached rock armoured breakwater that protects existing homes, businesses and harbour users. How do you fancy owning one of the toughest RIBs around? 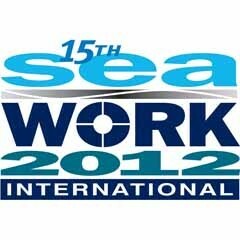 ABC are pleased to announce that we will once again be at Seawork International. For the first time we will be exhibiting outside, so I hope the weather remains nice! Keep a look out for our brand new exhibition trailer and come say hello. We wil happily discuss any requirement you have. The government is to make big changes to the way it subsidises renewable energy, it has announced. 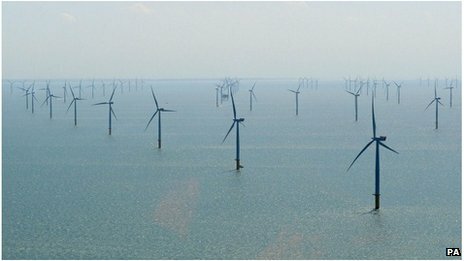 Ministers say they will cut support for onshore wind and solar energy, but give more backing to offshore wind power. Chief Secretary to the Treasury Danny Alexander described the shift in subsidy as "a rebalancing" and said overall spending would not change. But Labour said "chopping and changing" pricing was bad for business. 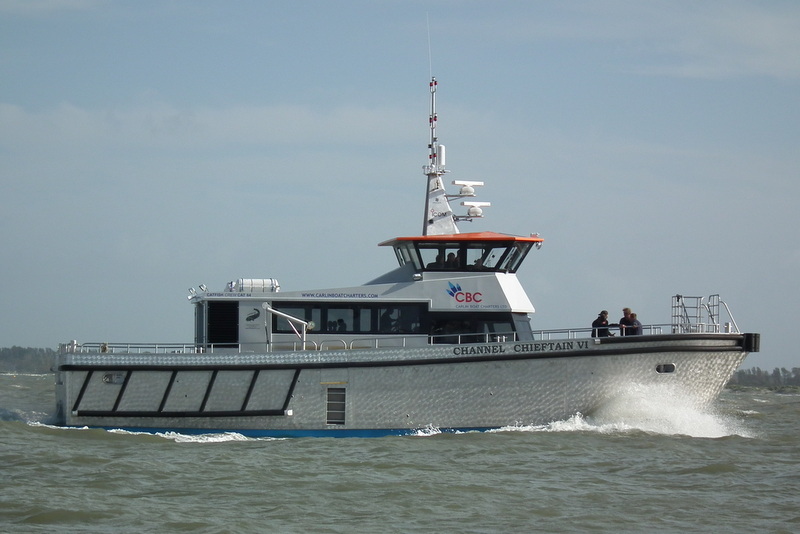 We are proud to announce that we have successfully completed sea trials for our latest launch 'Channel Chieftain VI' being the first in class 19m Catfish CrewCat. This unique design allows for a semi elevated helm yet still retaining full forward visibility for the lower cabin. 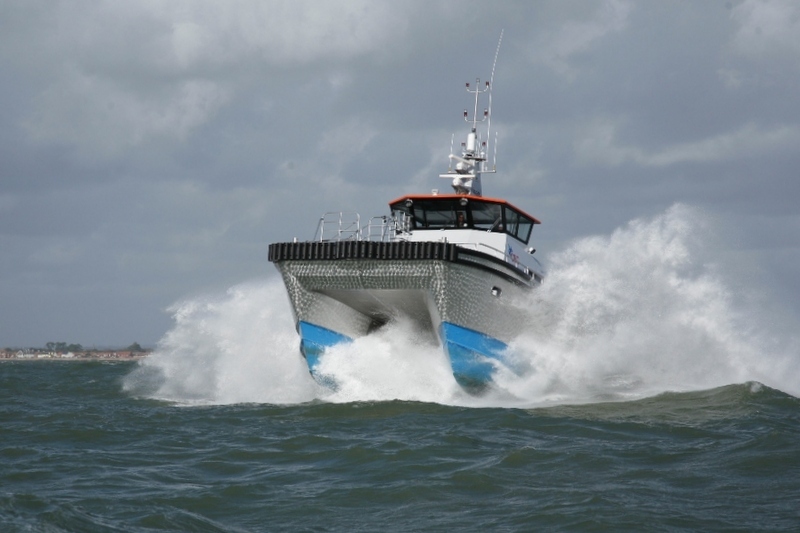 Powered by twin Doosan 20L diesels producing 1000BHP, driving conventional props cruising speeds of 23-24kts are easily achieved. Accommodation for 14 technicians providing a multipurpose platform predominately for offshore crew transfer, with a permissible deck cargo of 22T. Capable of carrying standard 20ft shipping container on the foredeck and a 10ft container aft Channel Chieftain VI is one of the most versatile 19m Catamarans available anywhere in the UK. So we are all set for Seawork to start tomorrow. 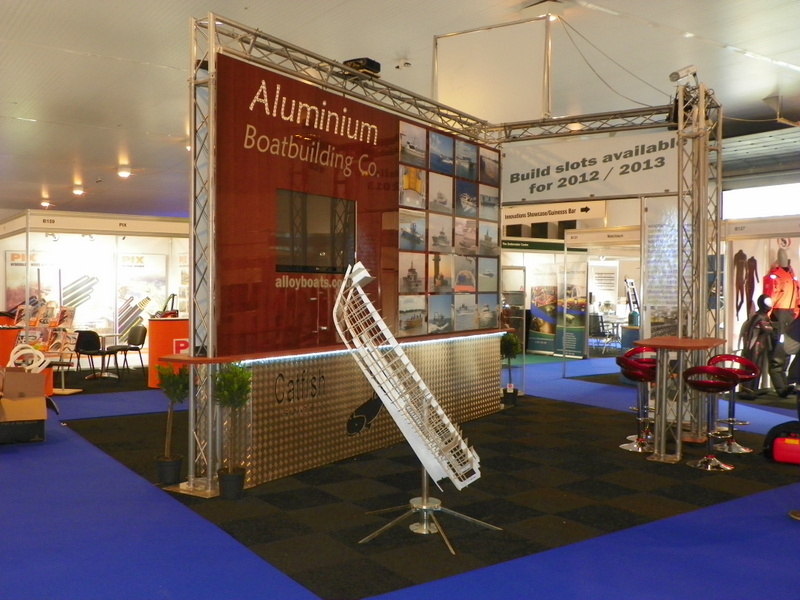 The stand is looking great and we also have two boats on the water. Come along and say hello, we'd love to see you. 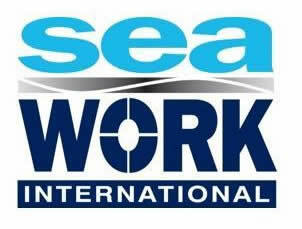 ABC are pleased to announce that we will once again be at Seawork International. 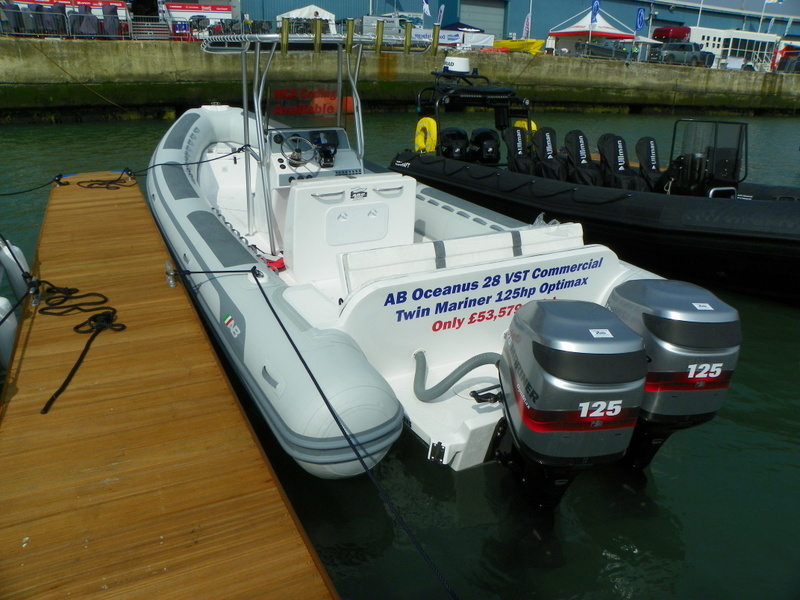 We will be exclusively launching 2 new boats to the UK. 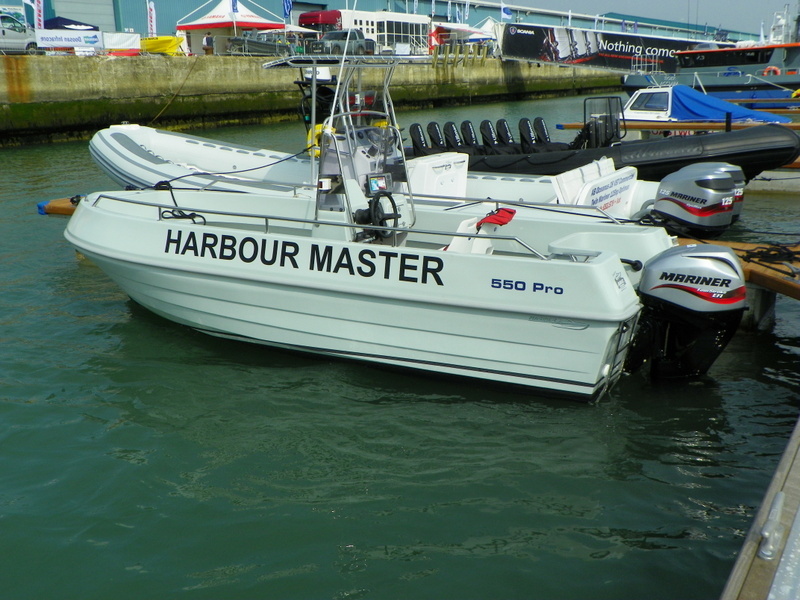 The Mariner 550 Pro is a 5.5 metre open fishing fibreglass boat and the AB 28VST is a 28 foot RIB with 2 x 125hp Mariner outboards. We will also have details of all our Aluminium craft. We look forward to seeing you there. 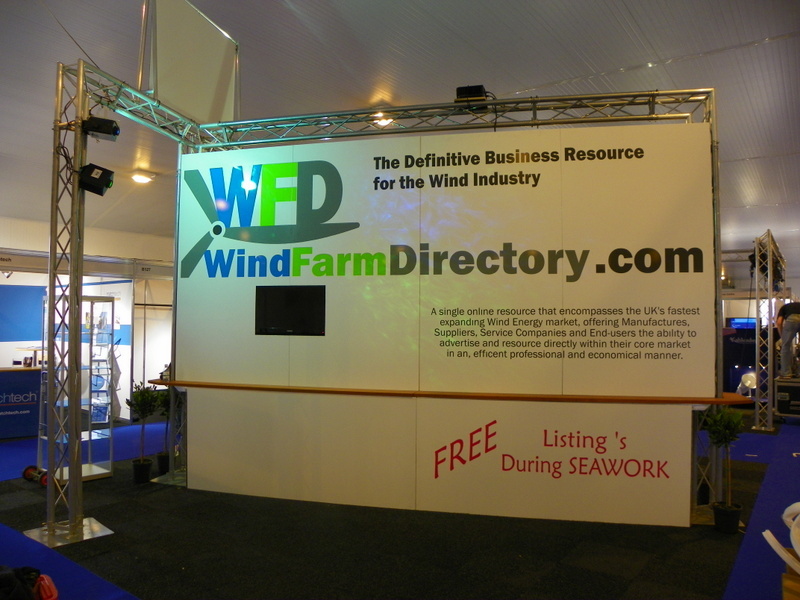 This is the definitive business resource for the wind farm industry. A single online resource that encompasses the UK's fast expanding Wind Energy market, offering manufacturers, suppliers, service companies and end users the ability to advertise and resource directly within their core market, in an efficient, professional and economical manner. Listings are free to all, with further advertising opportunities available with great value listing enhancements. 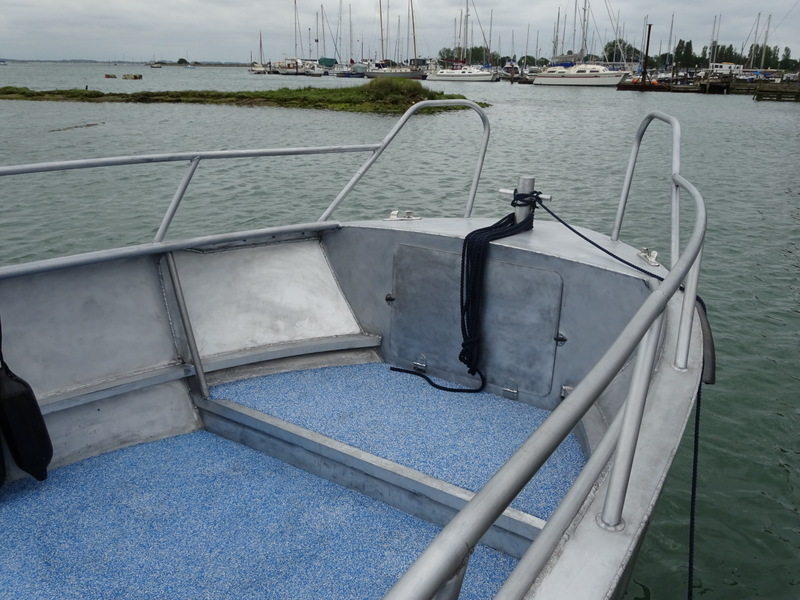 The Aluminium Boatbuilding Company Ltd (ABC) has just launched a new fast ferry, commissioned by Clarenco, new owners of the historic Spitbank Fort, in the Solent, off the south coast of England. Built in 1878, the fort has recently been converted to a luxury, exclusive venue and hotel. They wanted a stable vessel to transport clients to and from the fort, in speed and comfort. 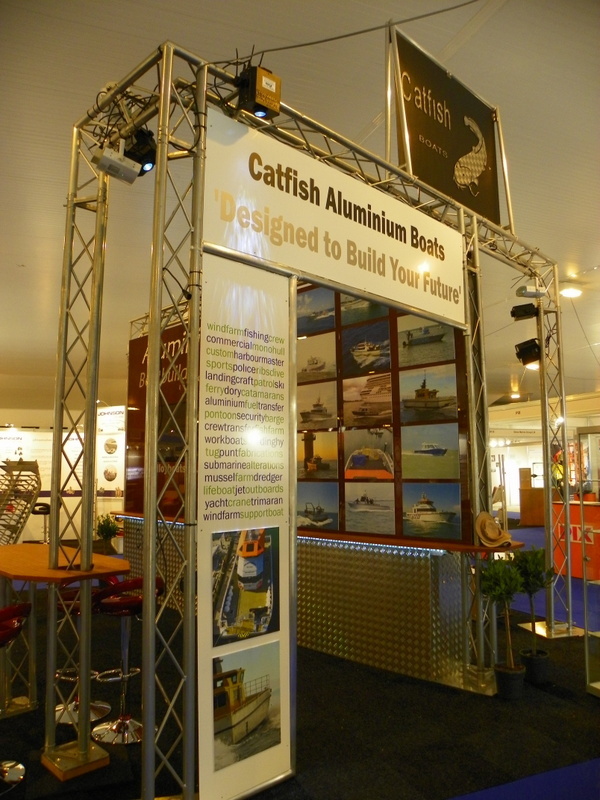 ABC designed and built the aluminium catamaran, in house, from the ground up. 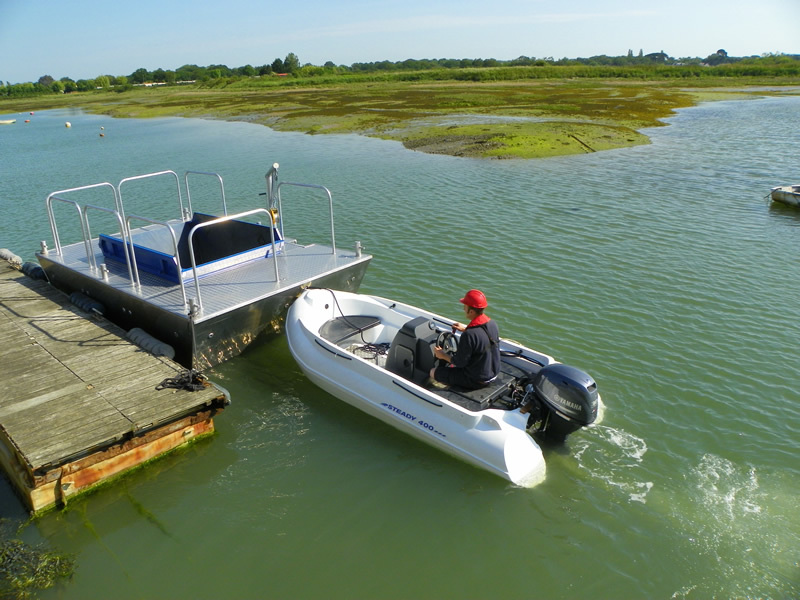 The Hayling Island, UK based company, used their considerable expertise to design a 10 metre craft with twin outboards, capable of transporting 12 passengers and 2 crew at speeds of up to 30knts. Welded aluminium construction throughout for minimal maintenance, maximum working life and continual operation. Marine grade 5083 (N8) Lloyds approved aluminium is used on all plating in the construction. 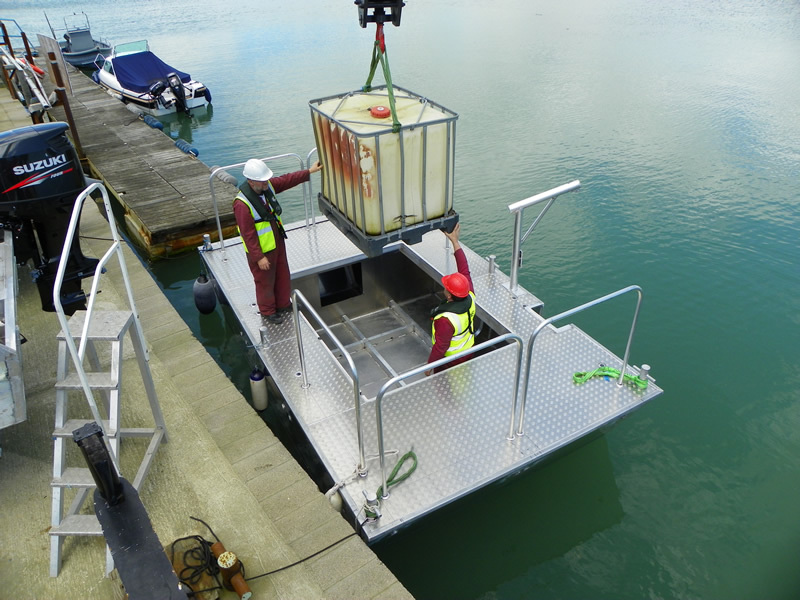 It boasts a large, fully enclosed pilot house with large, toughened glass, alloy framed windows to give maximum visibility. 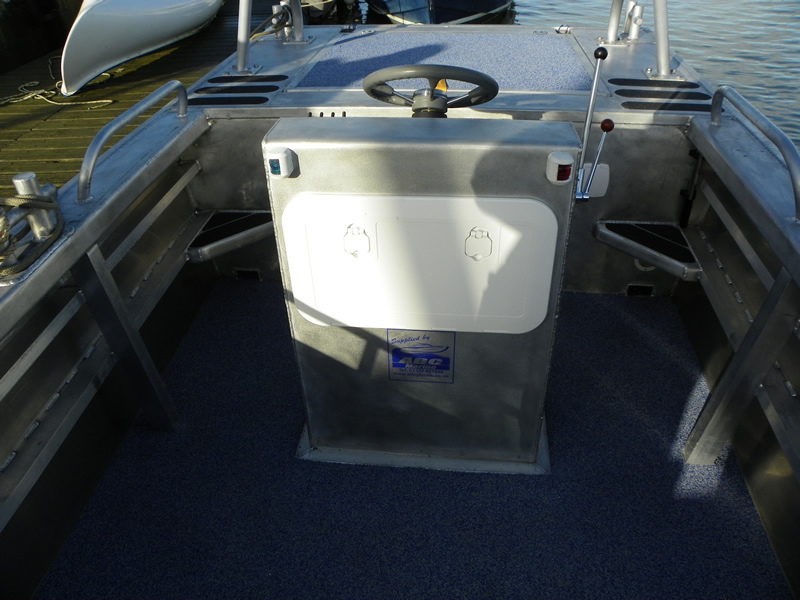 The vessel is powered by two Mariner Optimax 225hp V6 fuel injected petrol outboards, fitted with counter rotating stainless steel propellers and is fitted with 2 x 120 litre fuel tanks. 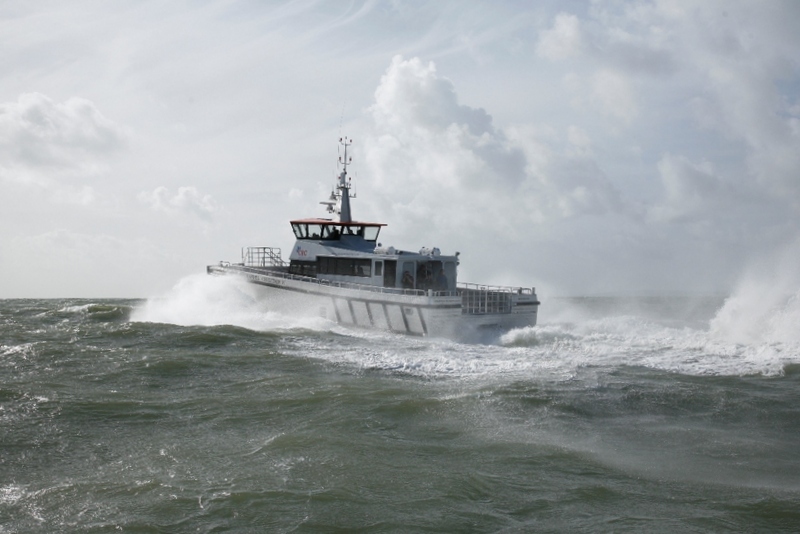 The Pro Cat 10 will join ABC's successful range of Catfish Aluminium Catamarans, which range from 28' - 70' and are custom finished to owners specifications. 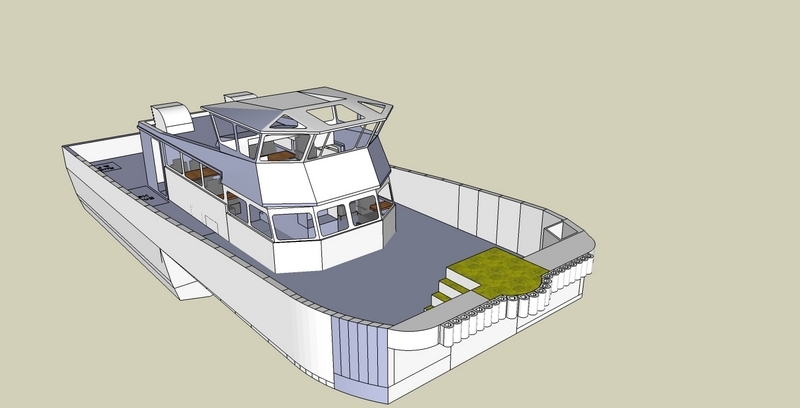 ABC are pleased to announce work is underway for a new 19m Cat. 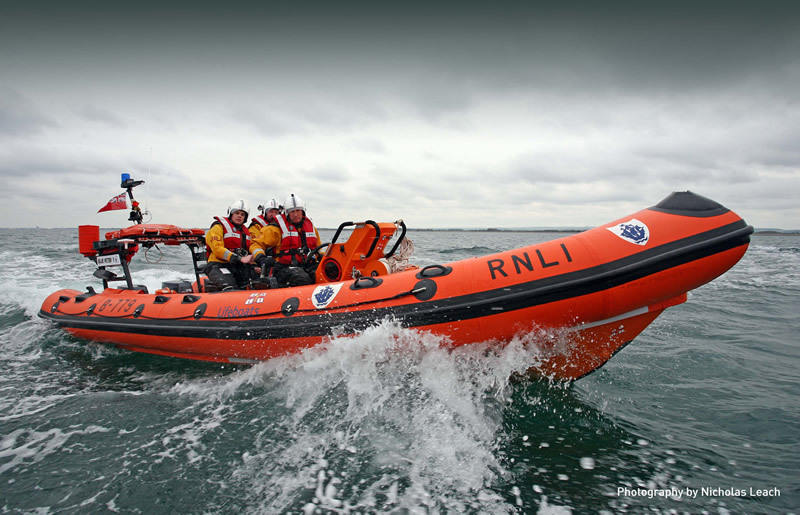 This is the largest boat to date and will add to ABC's already extensive range of craft. 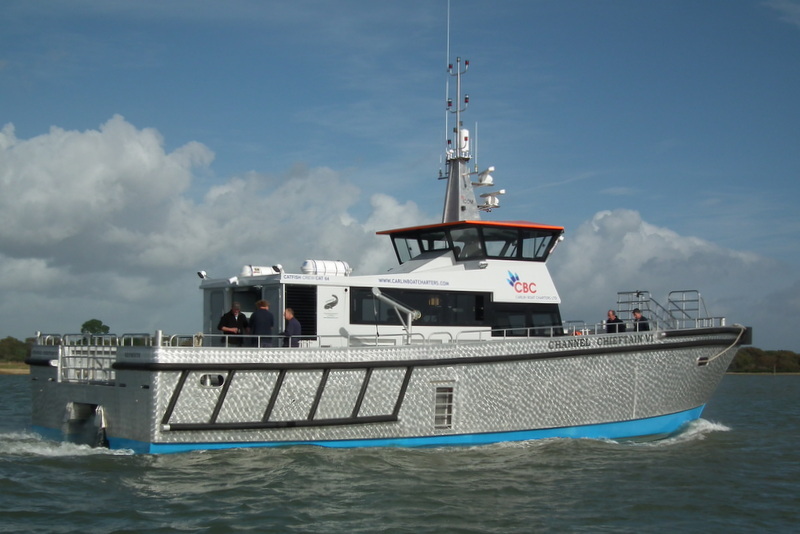 This boat will once again go into service in the busy offshore windfarm industry. 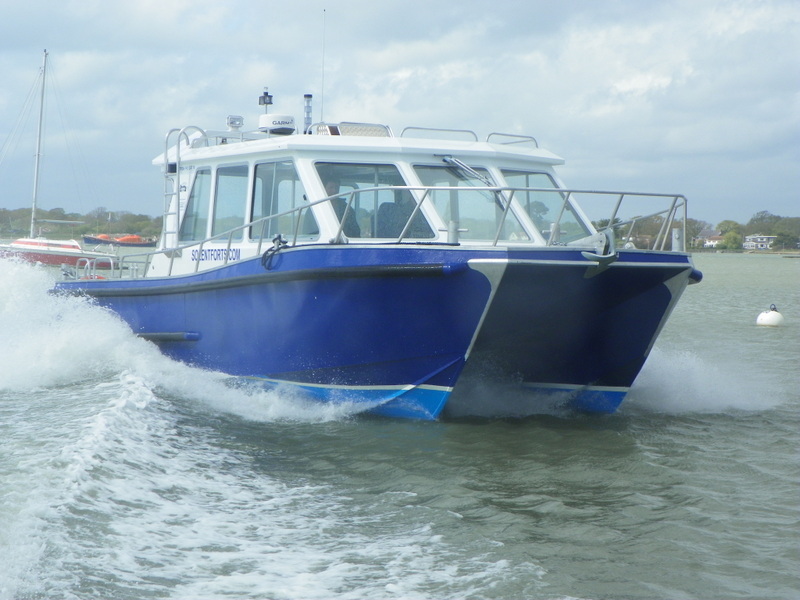 This boat has been commissioned by Carling Charters to enhance their substantial fleet. 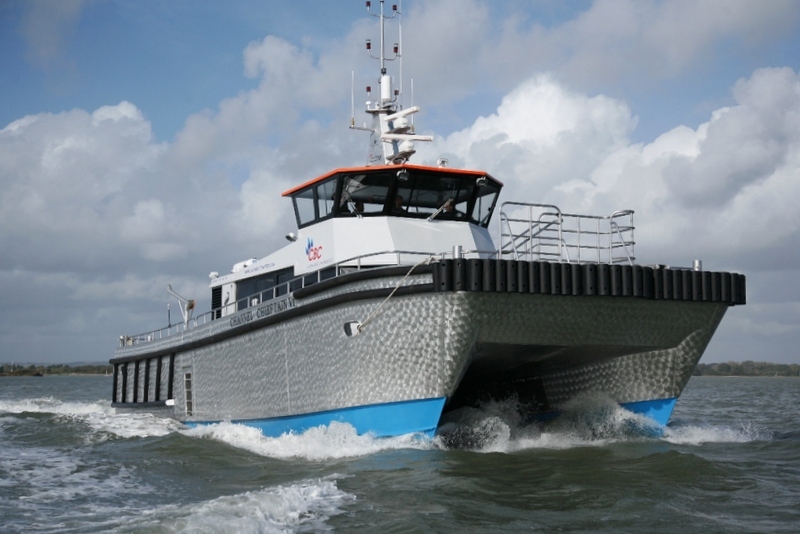 Delivery will be early summer 2012, Doosan engines has been chosen to power this vessel coupled to Twin Disc "Quickshift" gearboxes and Clements Marine shafts and Stern Gear.